Suzanne Stevenson, age 61, passed away August 17, 2006 surrounded by her family. Sue was born October 18, 1944 in Holladay, Utah to John Martin & Helen Tame Mulholland; she was the younger of two children. 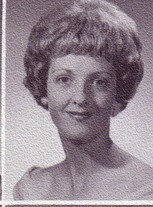 Sue married the love of her life, ConRoy Kent Stevenson Sr. on December 10, 1966. Their marriage was later solemnized in the Salt Lake City Temple on January 9, 1970. They lovingly raised two children in Bountiful, Utah. They later moved to Cedar City, Utah. Every neighbor became Sue's dearest friend. She adored growing up on a horse and enjoying the simple country life. "Nanny Sue" was loved by many. Her loving devotion to her husband, children and grandchildren will be greatly missed. She is survived by her loving husband of 40 years, ConRoy; two children, Lara Sue Stucki (Samuel) of St. George, Utah; and ConRoy "Kent" Stevenson Jr. of Portland, Oregon; and four grandchildren. Mom passed at Elderberry Care in St. George Utah, where she received the most loving care by Mendy Stucki. Funeral Services will be held on Monday August 21, 2006 at 12:00 noon at the Three Peaks Chapel. (40 E. Midvalley Road) Visitations will be on Monday August 21, 2006 from 10:30 a.m. to 11:30 a.m. at the Three Peaks Ward Church. Interment will be in the Cedar City Cemetery, under the direction of Southern Utah Mortuary. Online condolences can be sent through our website at www.sumfamily.com.